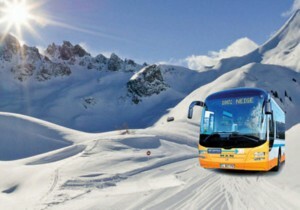 Take advantage of the 100% Neige bus! Departing from Nice, 6 stops: Auron, Isola 2000, La Colmiane, Valberg, Roubion and Le Boréon. 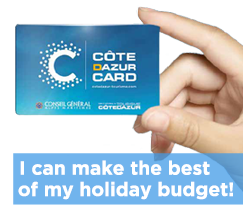 Direct daily services to Auron, Isola 2000 and Valberg, and to La Colmaine on Saturdays and Sundays. Connecting service on Saturdays and Sundays for Le Boréon. The bus leaves from the SNCF station in Nice.